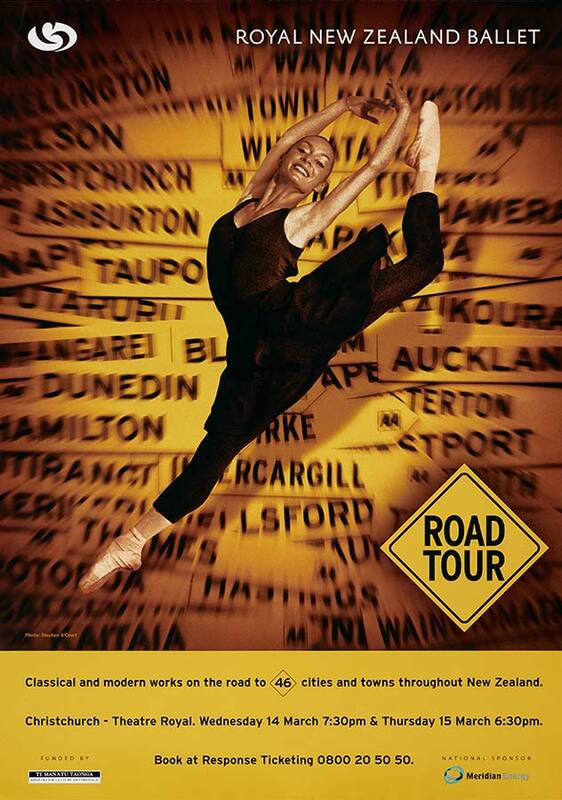 The Royal New Zealand Ballet's touring tradition was maintained in the 2000s. This poster, for the 2001 tour, shows road signs for some of the 46 cities and towns the company would visit. Shows for these national tours were usually a mixed bag of classical and contemporary pieces.